We've seen machines win chess matches and Jeopardy. 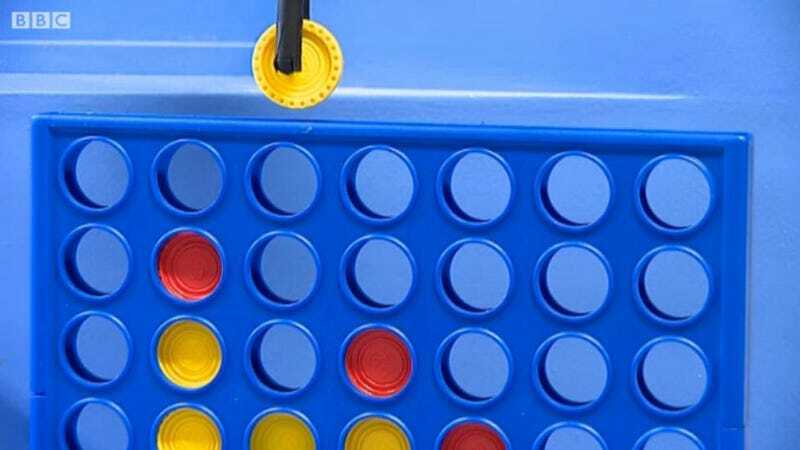 But now they're challenging us at Connect 4. The Robot Uprising is nigh! At Robotarium, a project bringing together Edinburgh and Heriot-Watt universities in Scotland, researchers are working on the future of robotics. A robotic arm challenges BBC Scotland Science Correspondent Kenneth Macdonald to a game of Connect 4 (third video down). No word on if the robot is ready for Connect Four Million yet.